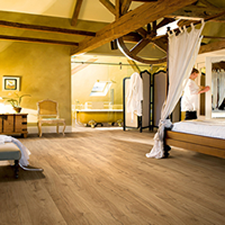 Shop Quick-Step Impressive Laminate Wood Flooring at Floor Monster UK. Quick-Step Impressive is a collection of medium-sized laminate floors that look and feel exceptionally natural. And there’s more: thanks to a unique water-repellent ‘HydroSeal’ coating, Impressive laminate is not only beautiful, it’s also the most waterproof laminate flooring ever produced.